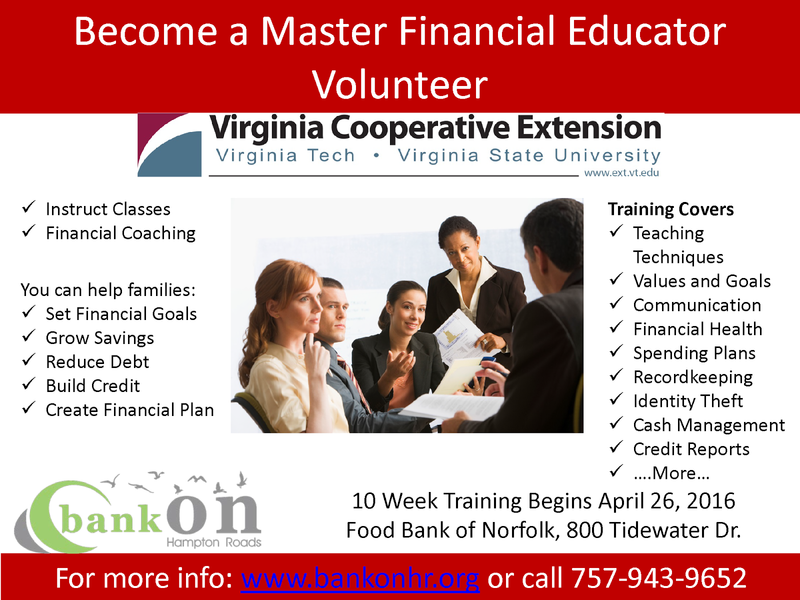 For volunteers who do not work in the financial industry, we offer training opportunities such as the Christian Financial Coach training and Master Financial Educator Volunteer training. 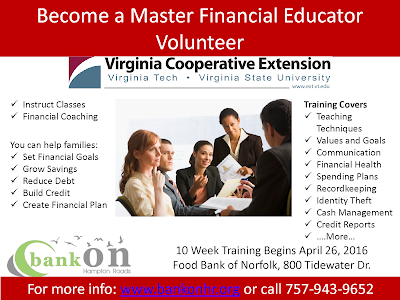 All volunteers must undergo a background check before working directly with Bank On participants. New training begins April 26, 2016.